Picture the scene: would-be burglars are targeting your business premises, and they’re armed with screwdrivers, spanners and some WD40… Do you think they’ll manage to get in? What if they have a hacksaw, some bolt cutters and a hand drill? Worse: what if they’re carrying all of the above, as well as an axe, a cordless power drill and a blowtorch? It’s actually a somewhat common occurrence: according to Government figures*, 12 per cent of retail and wholesale businesses were targeted by burglars in 2017. The burglary rate increases as businesses increase in size, too. Never fear: these are issues that Metador takes into consideration when we’re manufacturing our secure steel doors. And it’s why our doors are manufactured at a stronger strength than the industry average. We adhere to the security industry’s LPS 1175 standards, which grades doors (and other building elements) according to the specific level of sustained attack that they can withstand. What are the LPS 1175 security ratings and what do they mean? The LPS 1175 test gives different ratings to doors according to how long they can withstand an attempt to gain entry with different tools of increasing power/effectiveness. In the case of a modular building, for example, the test measures the time to make a hole big enough to get a person through (40cm x 22.5cm ellipse), along with testing the related joints and fixings. LPS 1175 therefore gives doors a rating. Level 1 means a door can withhold intruders who are carrying ‘portable’ tools – glass and cable cutters, screwdrivers and spanners, etc. Level 2 would equate to resisting a similar attack, with the same tools, as well as bolt cutters and a hand drill, for example. The Level 3 rating – which many doors in the Metador range have – means a door can withstand a five-minute attack with a range of tools up to and including a butane blowtorch, a 750kg scissor jack, a 35cm axe, a fluorocarbon freeze spray and bolt cutters. You can find out more about the ratings, and what they mean, here. 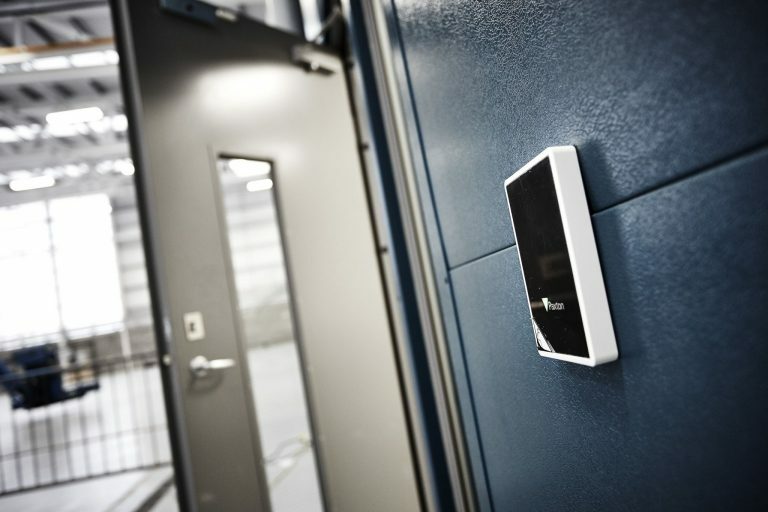 How does Metador improve door security? Our most popular doorset, the Defender Safeguard, is manufactured from 1.5mm galvanised steel and internal steel strengthening as standard. Frames are 2mm galvanised steel and have 2mm stainless steel thresholds. This makes it 56% stronger as standard than most alternatives on the market. At the top end of the scale, our most secure door, the Defender Xtreme, has been built to meet the needs of maximum security locations and can withstand a sustained attack from tools including those listed above. The added security doesn’t come at the cost of extra features, though: we have a range of high security ironmongery, panic exit bars, louvre panels and vision panels available for the Defender Xtreme. Plus, we’ll work with you, and your customers, to make sure the doors we’re supplying suit their precise needs.